The 'LEMONADE' star also ranked fifth on Forbes' list of America's Wealthiest Female Musicians. 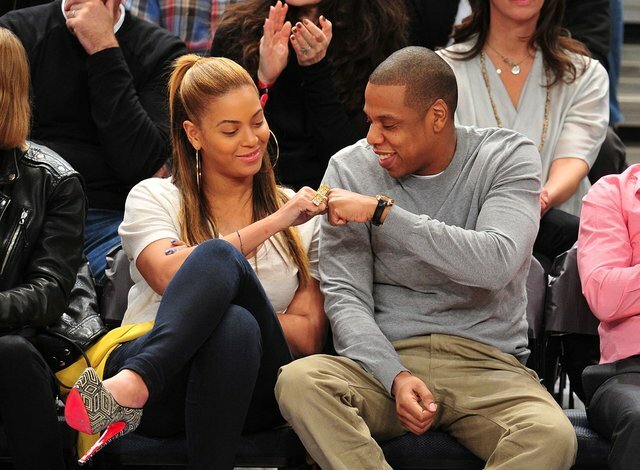 Jay Z and Beyonce are now officially a billionaire couple, according to Forbes. The 'Shining' stars, who are currently expecting twins, have a combined net worth of $1.16 billion. Hov's personal fortune has soared to $810 million, ranking him at number two on last week's Forbes 2017 list of Hip-Hop's Wealthiest Artists. Moreover, this figure was recorded prior to his reported $200 million touring deal with Live Nation last week, which could sky rocket his numbers even further. Bey has amassed a personal fortune of $350 million, swooping in at number four on Forbes' 2017 list of America's Wealthiest Female Musicians. The 'Hold Up' singer grossed over a quarter of a billion dollars from her Formation World Tour alone, with her earnings from the Grammy Award-winning 'LEMONADE' also contributing largely. Alongside their solo musical ventures, the parents of 5-year-old Blue Ivy earn their wealth through various business sources. Jay's entertainment company Roc Nation continues to grow, as does his Armand de Brigand champagne brand. Meanwhile, Yoncé reaps the rewards from her Ivy Park clothing range alongside her own entertainment and management company, Parkwood. Both musicians also co-own popular music streaming service TIDAL.